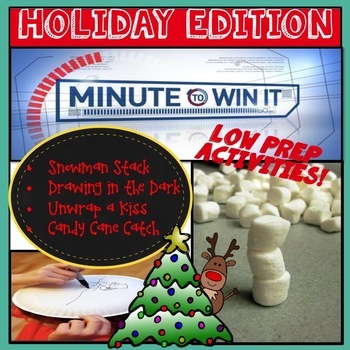 Looking for a low prep, cost effective activity for a Holiday party? 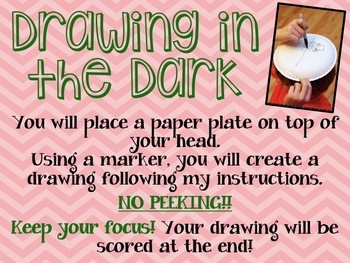 These 4 activities are easy to set up, require minimal supplies, and are FUN! Even adults can participate! 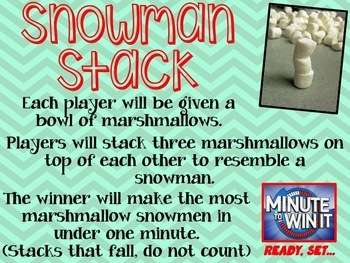 Power point for students with directions for 3 Minute to Win it games and 1 extra game - just for fun! Each slide links to a minute to win it timer (on YouTube) to make it extra real. Shopping list for the Teacher. 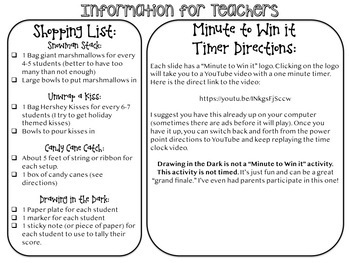 Written directions for each activity for the Teacher.